SEATTLE--(BUSINESS WIRE)--(NASDAQ: AMZN)—Have you ever watched a movie or TV show and wondered, “Who’s that guy?”, “What’s she been in?”, or “What is that song?” Never have that problem again. 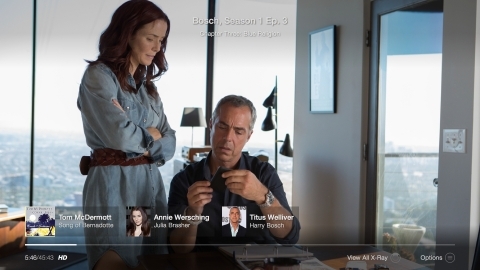 Amazon today announced that X-Ray—a customer-favorite feature since it launched on Fire tablets—is now available directly on your TV screen using Amazon Fire TV and Fire TV Stick. 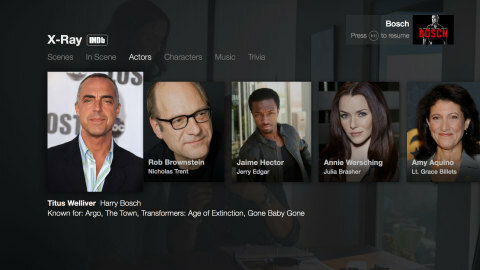 Exclusive to Amazon Instant Video, X-Ray for Movies and TV Shows is powered by IMDb—the #1 movie website in the world, with a database of more than 180 million data items, plus over 200 million unique monthly visitors worldwide.